Last Sunday as I evaluated the pantry and fridge, deciding I wasn’t in the mood to tackle my weekly trip to the grocery store, I realized I had enough leftover fresh vegetables and pantry staples to pull together a meal for dinner and lunch leftovers. 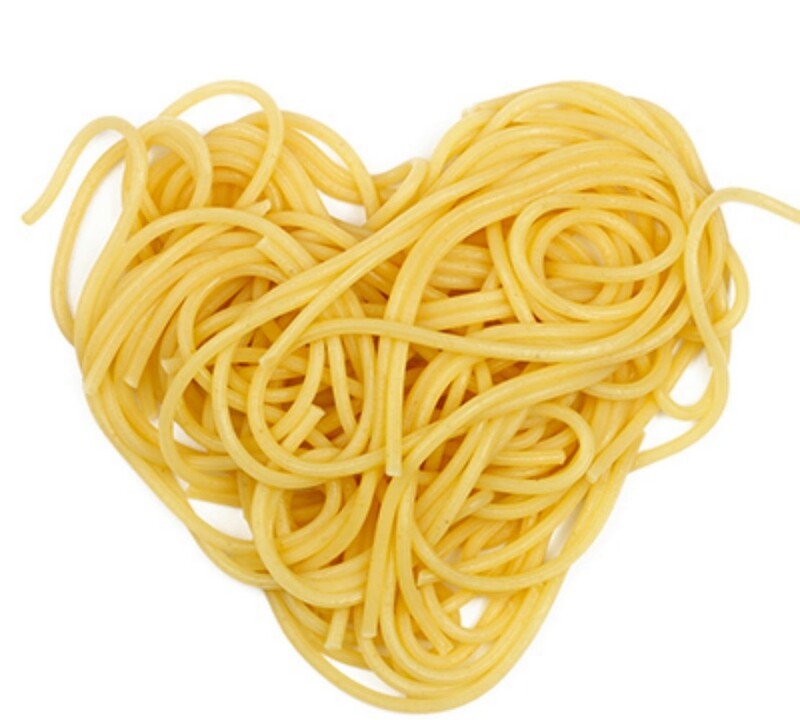 I’ve recently seen recipes substituting chickpeas (or garbanzo beans) for pasta as a healthier, gluten-free alternative. I only had about 1/4 – 1/3 of a box of orzo, so I thought it would be the perfect match to try. For my gluten-free friends, this meal could be made gluten-free by eliminating the orzo and increasing the amount of chickpeas. Next time, I may even roast a red pepper or two and puree to add to my smokey arrabbiata sauce. Preheat oven to 350 degrees. Bring a pot of water with salt to a rapid boil and cook orzo until al dente. Drain. Spread chickpeas, and sliced/diced asparagus and eggplant on a large baking pan. Toss with 1 tablespoon EVOO, and season with salt and pepper. Roast in oven for 20-25 minutes, tossing halfway, until asparagus and eggplant are tender. In a medium pot, heat 2 tablespoons EVOO with minced garlic and crushed red pepper on medium heat, stirring continuously until garlic begins to become fragrant and yellow in color, being careful not to burn the garlic and crushed red pepper. Add crushed tomatoes, smoked paprika and desired chopped basil to the pot, simmering sauce on low heat for about 30 minutes. 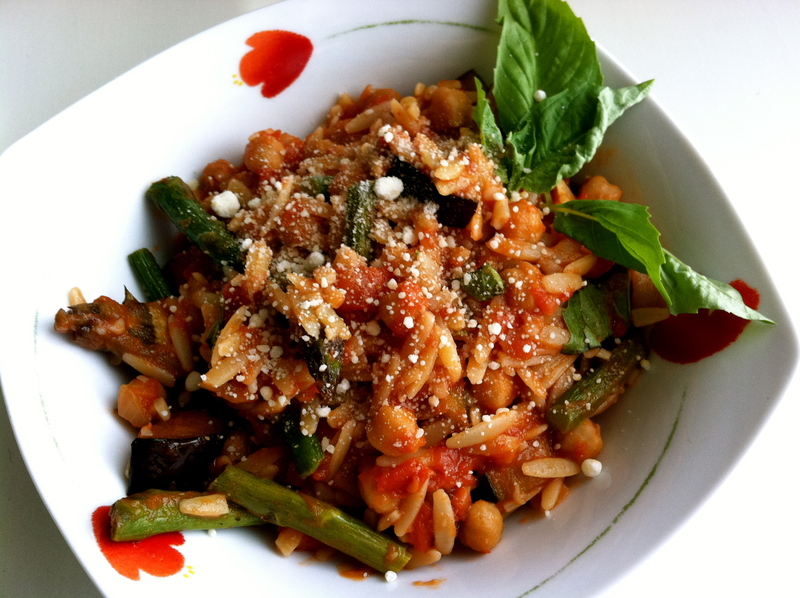 In a large bowl, combine orzo, roasted chickpeas and vegetables, and desired amount of sauce, mixing to combine. Serve with extra fresh basil for a garnish and grated Parmesan.